Chutes at Fulton and 10th, from a postcard sent to the Netherlands in 1904. For seven frolicking years from 1902-1907, the Richmond District was home to the "largest pleasure resort in America" - the Chutes! First introduced in London as a big toy for the wealthy and called the "Toboggan Slide," chutes franchises appeared all over Europe in the late 19th century. Finding the grounds too small to accommodate the large crowds,... "new chutes" opened on Fulton at 10th Ave. in 1902. The admission charge was a dime for adults and a nickel for children. Chutes at Fulton and 10th, early 20th century. 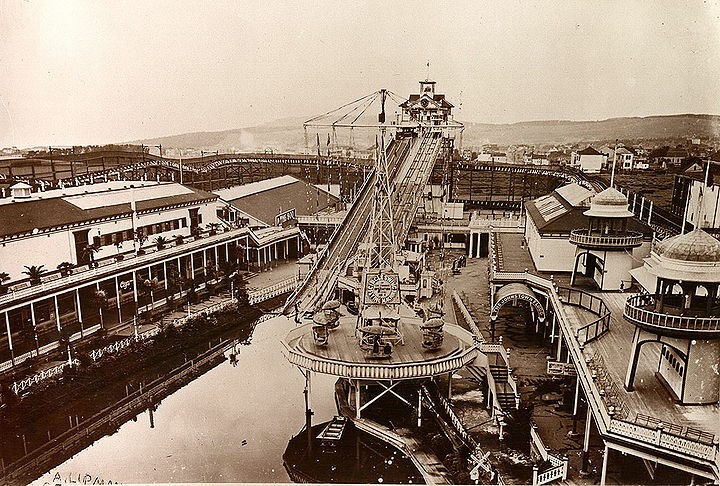 On May 29, 1911, a fire started in the restaurant and destroyed the Fillmore side of the amusement park. 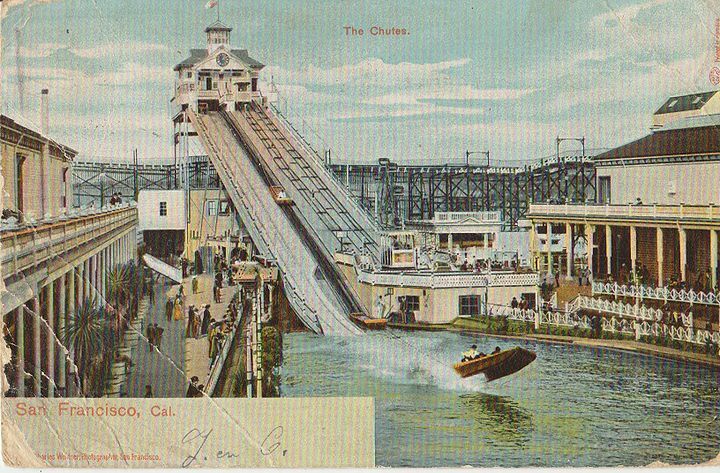 The Chutes amusement park would never open again, although a waterslide called the Chutes was part of Playland at the Beach. That ride was demolished in 1950.